China's expanded high speed rail network would extend through India, Kazakhstan, Turkey and other countries. The Chinese government proposes to finance the projects in exchange for rights to some of its neighbors' natural resources. Photo by yeowatzup. 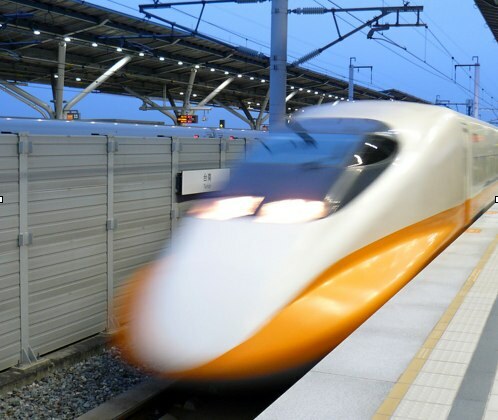 China announced plans to extend its high speed rail network westward across the continent, connecting its eastern shores to Europe. High speed rail plans were also unveiled in Britain, with the announcement of a proposed 250 mile-per-hour rail link between London and Birmingham and the end of intercity motorway construction. This week’s National Bike Summit culminated in the launching of a campaign to recruit one million new bicycle advocates. The American Public Transportation Association reported that 10.2 billion trips were taken on the nation’s transit systems in 2009, a slight decline from 2008, though light rail ridership rose in nine cities. Bogotá’s bus strikes end but Greece’s transportation systems are disrupted by worker protests. The U.S. DOT reports that traffic fatalities fell to a 55-year low in 2009. We celebrated International Women’s Day and recognized the role of women in the movement for sustainable transport. The United Kingdom’s congestion, health and environment problems could be solved for the cost of just £20 per household, according to Sustrans. The draft report of the U.S. Environmental Protection Agency’s annual “Inventory of US Greenhouse Gas Emissions and Sinks” shows that, in 2008, overall greenhouse gas emissions decreased by 2.9%, and CO2 emissions from the transportation sector dropped 5.7%, primarily due to the decreased demand for transportation fuels associated with their high costs. The Hydrogen Hybrid Bus recently made its debut in Canada with a month-long demonstration in Victoria, British Columbia. The Urban Repair Squad marks Toronto roads with comic book-esque tags to warn bicyclists of potholes and obstacles ahead. Sections of Cleveland’s underutilized Galleria mall are being turned into a greenhouse. The Las Vegas Review-Journal reports that the city’s vacant land is worth 75% less than it was at the 2007 peak in value. Google Maps unveiled its new directions for cyclists, which factor in bike trails, bike lanes, recommended routes, slopes, and busy roads and intersections. Public transit riders are using Twitter to highlight transit problems, and agencies are using it to spread the word about service delays. Miami is adding an online component to its 311 phone system, making it easier for residents to report problems like potholes, track their requests, and view “problem areas” on a map. Robin Chase, the founder and former chief executive of Zipcar, pens a New York Times editorial arguing that drivers and carmakers should have access to real-time data on acceleration, emissions, fuel levels and engine problems.